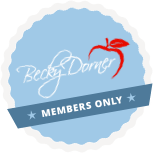 International Dysphagia Diet Standardisation Initiative: The Who, Why, What & How - Becky Dorner & Associates, Inc.
Karen Sheffler, MS, CCC-SLP, BCS-S, has over 20 years of experience as a medical speech-language pathologist, specializing in dysphagia since 1995, when she graduated from the University of Wisconsin-Madison. She obtained her Board Certification as a Swallowing Specialist (BCS-S) in 2012. In 2014, she started SwallowStudy.com, which is a dysphagia resource for patients and professionals. Karen has worked in acute care, rehabilitation centers, skilled nursing facilities, and in home health care. She currently works at two different hospitals in the Boston area, owns her own dysphagia consulting business, performs peer reviews and presentations, and provides dysphagia expert services to companies and law firms. Believing in constant continuing education, she has been awarded the ASHA Award for Continuing Education 5 times. She is a member of ASHA’s Special Interest Group 13, the National Foundation of Swallowing Disorders (NFOSD), and the Dysphagia Research Society (where she is a member of the Website, Communications and Public Relations Committee).